Would You Buy Weed-Infused Pizza From This Dispensary? While pizza has always been a quick and easy, yet delicious option for your munchies, one dispensary has made it possible to eat pizza to get you elevated. While pizza has always been a quick and easy, yet delicious option for your munchies, a dispensary in Massachusetts has made it possible to eat pizza to get you elevated. 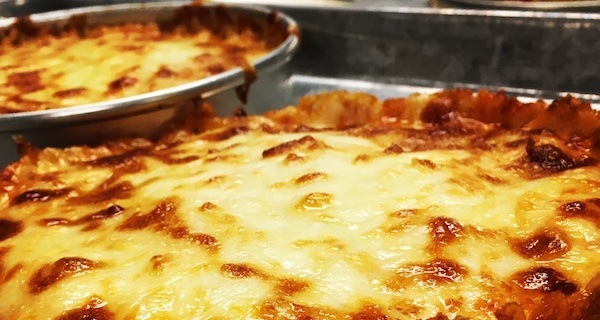 For those Bay Staters who use medical marijuana, pizza just got a whole lot better, thanks to one Massachusetts dispensary that is offering up weed-infused pizzas. That means those who patients who don’t smoke and prefer not to have sweet edibles now have the option of consuming some weed-infused pies instead. For those patients in Quincy, Massachusetts, Ermont Inc. is now offering the cannabis-infused personal pizzas, which have 125 milligrams of THC per six-inch pizza. Which, according to the dispensary’s operations manager, Seth Yaffe, that offers a medium-size dosage. The pies carry the THC in the tomato sauce, the cornerstone of any good pizza, which could put these pizzas in the running for some of the best. So, just how did this pizza come about? In an interview with Time, Yaffe says several of the dispensary’s patients began requesting more savory edible options to help avoid the sugar that fills typical marijuana edibles, such as candy bars and fruit chews. We found that patients wanted a food item that they would eat during a normal day. We wanted to do something that could be considered a full meal. The pizza, which Yaffe describes as “herby, with gooey, crispy cheese” that spreads to the edge of the crust, seems to be a great option for those patients that prefer pizza to candy. The said patients who have state-issued medical marijuana ID cards can take the frozen pizzas home and then heat and eat – or is that bake and get baked? At one time or another, Yaffe and his colleagues at the dispensary have worked in the restaurant industry and dabbled with other edible variants on, including the likes of weed-infused hot chocolate, quiche, cobbler and – for the chosen few – even a vegan mayonnaise. So far, Ermont – a dispensary that sees some 200 to 400 patients each day – has about 200 pizzas. That has seen it become a popular choice for locals, helping patients manage many ailments, whether it’s opoid addiction or the side effects of chemotherapy.